IRS 1075 requires organizations and agencies to protect FTI using core cybersecurity best practices like file integrity monitoring (FIM) and security configuration management (SCM). Both of these technologies depend upon a known, secure baseline. Any deviations from this baseline signal authorized or unauthorized changes that could bring your systems out of compliance or expose them to attacks. If your organization or agency handles federal income tax information of any sort, you are required to stay in compliance with IRS 1075. 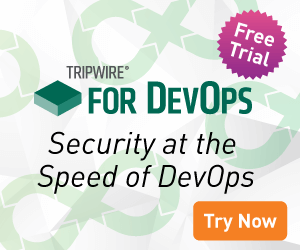 Failure to do so can lead to heavy fines and even criminal charges, but Tripwire technology makes ongoing compliance simple and keeps you audit-ready at all points in time. To learn more, download this solution brief.